I am a mother with two teenage children. I was born in South Wales and have lived in the Sketty area for the last 17 years. I seem to have always been interested in one form of healing or another. I have always loved nature and became interested in the power of plants to heal so I began a training in herbal medicine. My interest in psychotherapy came from a wish to not only understand what heals physically but also psychologically and emotionally. My original training was in Transpersonal Psychotherapy. This is known as the Fourth Wave in psychology , it includes within it the other three ‘waves’ of behaviourism, psychodynamic and humanistic psychologies but it also takes account of the spiritual potential of human beings. Into this I find, naturally weaves Mindfulness. I have completed various trainings in Mindfulness – the 8 week Mindfulness course along with, over the past 20 years, various Buddhist trainings in Mindfulness and meditation. Mindfulness – being present with whatever we are experiencing, without judgement, has helped me enormously to deal with whatever life throws my way. It can teach us to be kinder to our experiences, whatever they are, to be more accepting of ourselves, as we are. In my work I have discovered a pleasure in being able to help see through painful times into something better and I particularly admire the courage and determination shown by those who work with me. Throughout my professional and personal life I have come to realise that the most important thing, the most healing thing, is our connection to each other and to ourselves. As such I have followed specialisms in trauma treatment through the work of Babette Rothschild and EMDR and learning how to be connected to the whole of our emotional experience through focusing and Mindfulness. I am accredited with the United Kingdom Council for Psychotherapists. 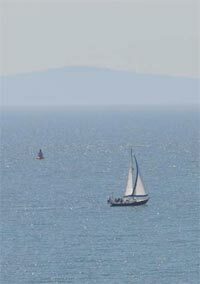 As a psychotherapist and counsellor my practice is based in Sketty, Swansea. However, it is within easy reach of Neath, Gower, Gowerton, Bridgend, Port Talbot, Llandeilo. I can be accessed by bus, alternatively, there is parking available.